The availability of a high chair in your restaurant is one you will find will greatly please many of your customers. They want to know that every member of their family can be accommodated with ease. 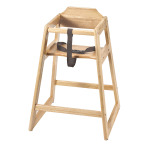 This natural wood finish high chair is made of a sturdy, long lasting wood. The wide stance is designed for added support and stability as to not top over with a mobile child. 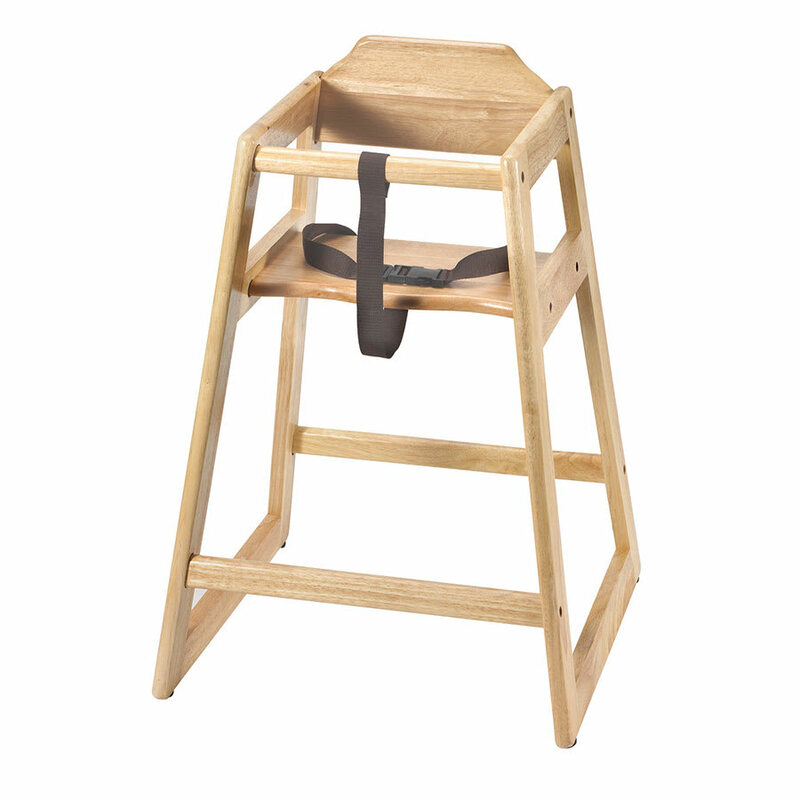 This high chair features a wood safety cross bar that spans the distance of the chair in front of the child's body. Let your customers pull their little ones right up to the table and into family dinner time with this Browne-Halco baby high chair. "Ordered a restaurant style high chair for grandchild. Came with an obvious repair to wood. Need new side only. Had to disassemble to return...."
"This is a great high chair at a great price. My son loves it. I bought it for my parents to use at their house for when we visit, and they love i..."
"Ordered a restaurant style high chair for grandchild. Came with an obvious repair to wood. Need new side only. Had to disassemble to return. Not customer friendly." "This is a great high chair at a great price. My son loves it. I bought it for my parents to use at their house for when we visit, and they love it too. My son can sit right up to the table, so he feels like he is a part of the family and not a stranger sitting higher up and far away. I've recommended this chair to many others as well."